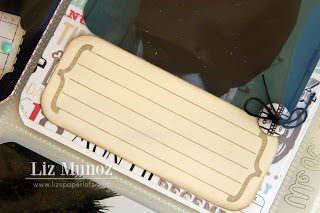 Liz's Paper Loft: Scrapping the Little Things ~ Santa Barbara! Scrapping the Little Things ~ Santa Barbara! Good morning my paper lovin' friends and happy Monday to you! If you're new to me, I usually post about 3-4 times a week, however lately I've had a few things taking up more of my time. I'm hoping to get back to my normal schedule in the next month or so. Today is Scrapping The Little Things at My Creative Time where we show pages from a Smash Book or Project Life style albums! I'm sharing another layout from my trip to San Diego (hope you're not get bored). On the way home we stopped in Santa Barbara and stayed an extra day! I love a "no plan" vacation! 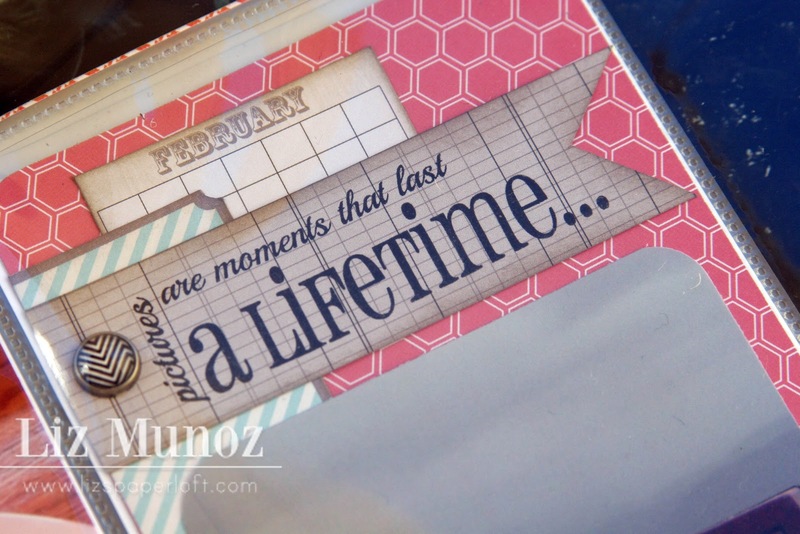 I used quite a few sets from My Creative Time along with some Teresa Collins paper and embellishments! I just love how versatile My Creative Time stamps and dies are! Of course I had to add some hemp for more texture. The enamel dots from Teresa Collins are perfect of the pocket pages, since they aren't super raised. Stitched Curly Label Die ~ under "note worthy"
Be sure to see what my design teammates have come up with! GREAT page Liz!!! LOVE all the papers and MCT products you used! Another GREAT project! Thanks for sharing and have a GREAT Monday!! So cute. Love the idea of a no plan vacation. Keep having fun. 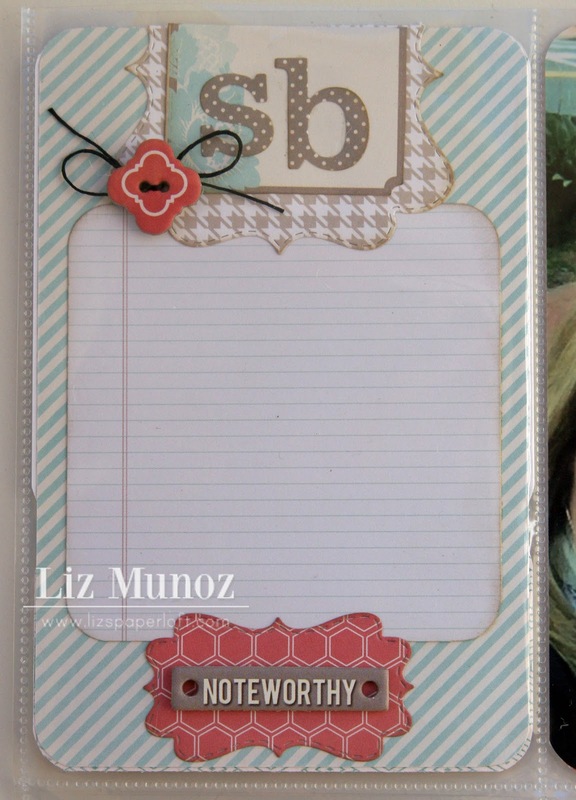 Awesome page, Liz! Looks like a fun trip! I love your mix of TC and MCT products!!! 0H GOSH Liz I can't even imagine anything you bring to us could ever even be given a thought of boring I love your LOs your stories they are all interesting, fun and amazing you are so talented and creative and always do so many fantastic things with all of Emma's products thanks for all you do! Beautiful page...love all the elements!! 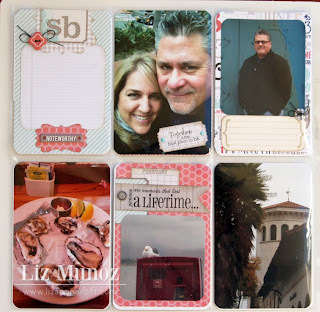 Very nice layout Liz! 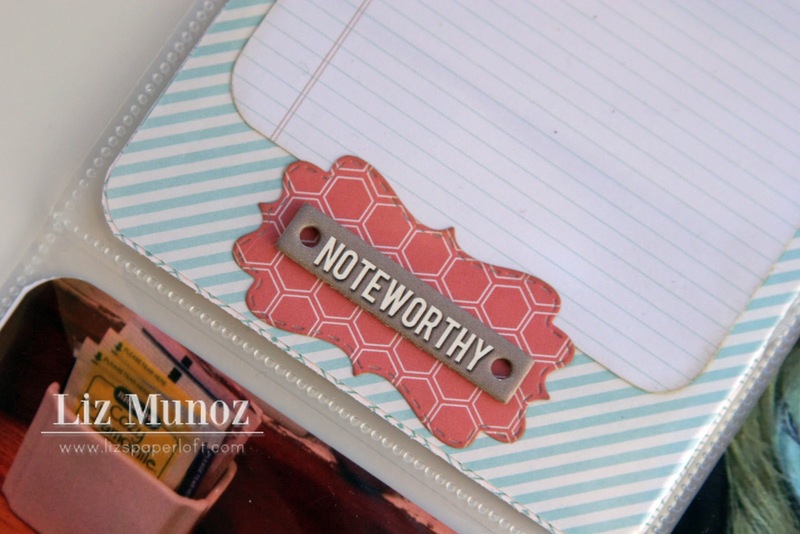 Love the look of your journaling element. So crisp and clean looking. Great job! Nice job on your page! 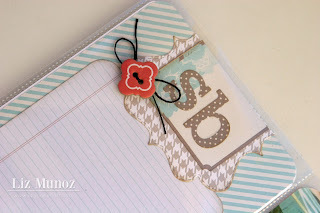 I like how you did the journal spots and just a little bling. 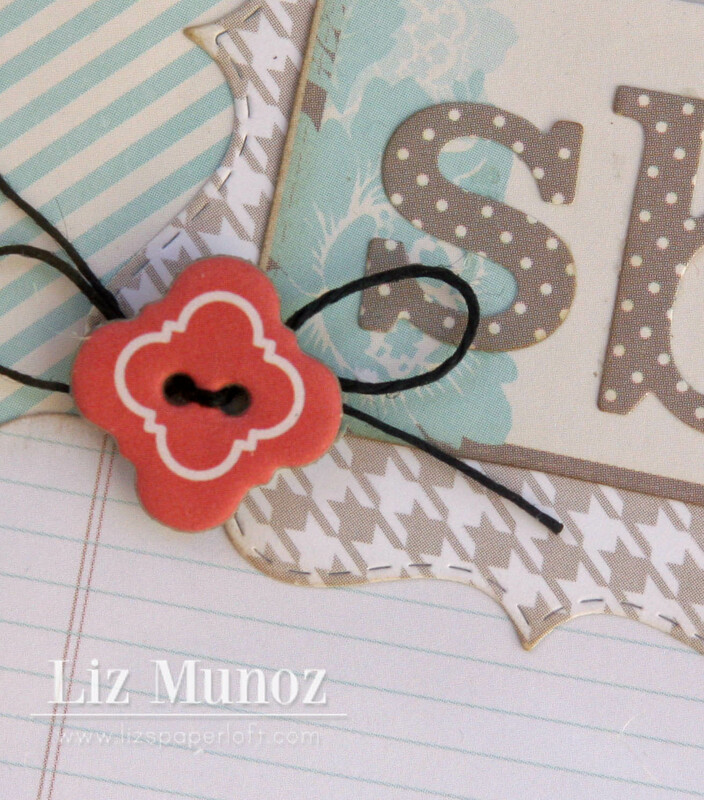 The shapes of tags, banners & dies are enough movement and interest to be enough and make a pretty page! Great job...love it! Liz ~ Oh my this is simply BEAUTIFUL! Besides the paper and stamp ~ the pictures I LOVE!! I must agree TC products go PERFECTLY with MCT! I think you should carry some journaling pens ~ hehehe! I also must say I hope my hubs doesn't loose his hair before he gets the salt and pepper look like your hubs! I just LOVE that! BEAUTIFUL LO and couple!! 3D Wednesday ~ Thank You! Peachy Keen Challenge ~Tea For You! 3-D Wednesday ~ You're My Pot Of Gold! Scrapping The Little Things ~Peter Cottontail! 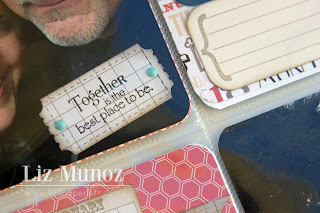 Scrapping The Little Things ~ San Diego!